Ok I'm not really discovering London, I've been here for what feels like a thousand dog years (and loving it! ), but what I mean to say I guess is that it never ceases to amaze me with its hidden gems. 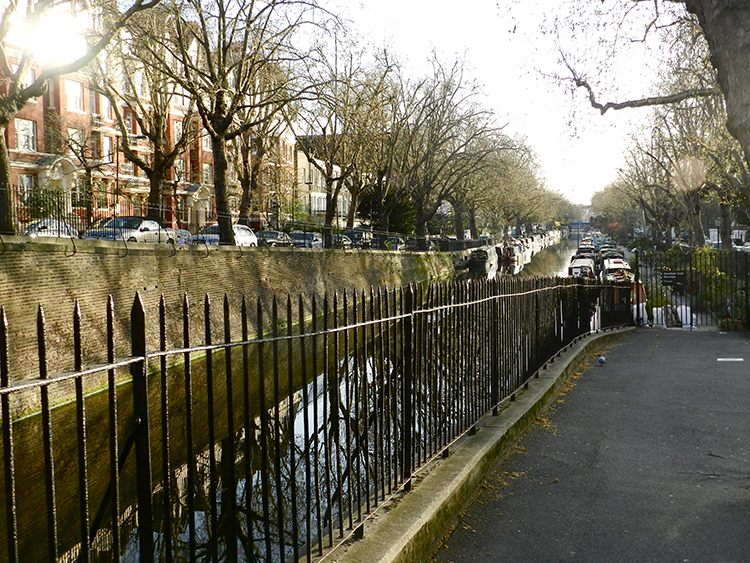 For example that canal in the last photo has been 5 minutes away from my place all this time and I only just found out! Same with this little park right off of Marelybone High which we accidentally stumbled upon last weekend after breakfast. For the weekend walk I put on my Ferragamo Jackie-Os, a pair of D&G booties that have been in my closet for what seems like a decade - but still manage to look like the right choice- and this leopard Jimmy Choo bag which is perfect on black coats. 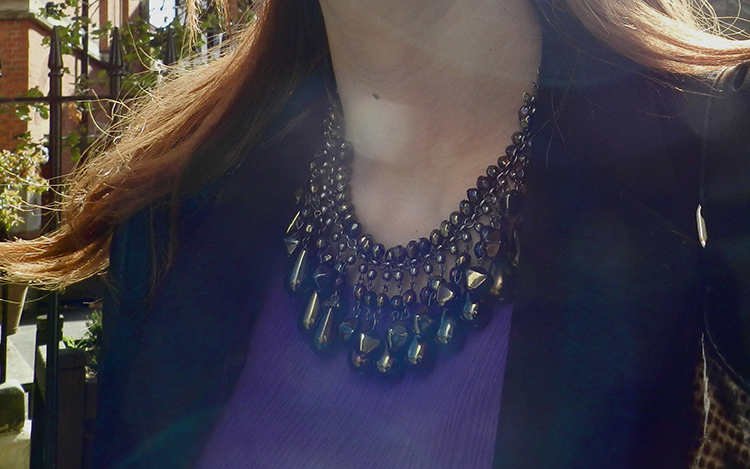 I also wore my favourite statement necklace, a chandelier I got a couple years ago in Dubai. I love how this necklace can be both classy and ethnic at the same time. Any thoughts on statement pieces? Love your style and your blog! I'll definitely be following! So excited to see your next post! thank u so much for that! It makes me very happy to hear it! Lovely necklace - it's a versatile colour which can be worn with so many different outfits. thank u so much for your sweet comments! You look so lovely.. I really love your necklace! hey dear, thanks for the comment ! thanks a lot for this eranda! talk soon! London: this city is always in our heart!!! We three friends of Lady Cipria has passed three unforgettable months together in London!!! Your post is wonderful for the location and the outfit too!!!!! thank u so much for your kind words, this is lovely to hear! hope to see u soon again on the blog! Great look! Love your coat and sunnies!! Don't you just love discovering new places you never even knew existed! It's so fun!